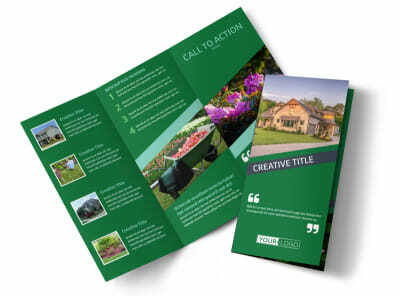 Customize our Big Landscape Brochure Template and more! 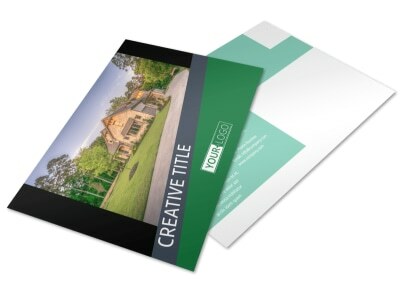 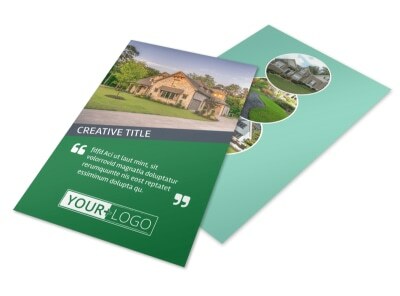 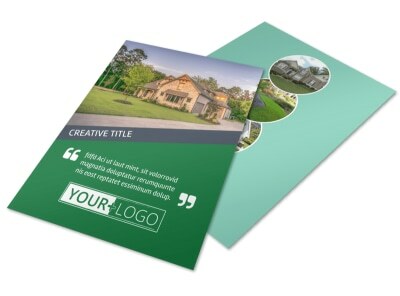 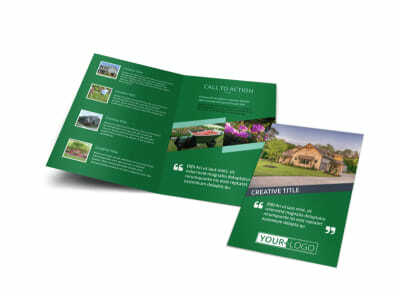 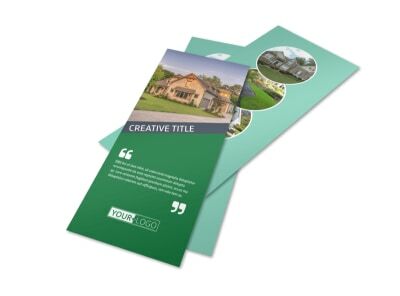 Show potential clients what you're capable of with big landscape brochures. 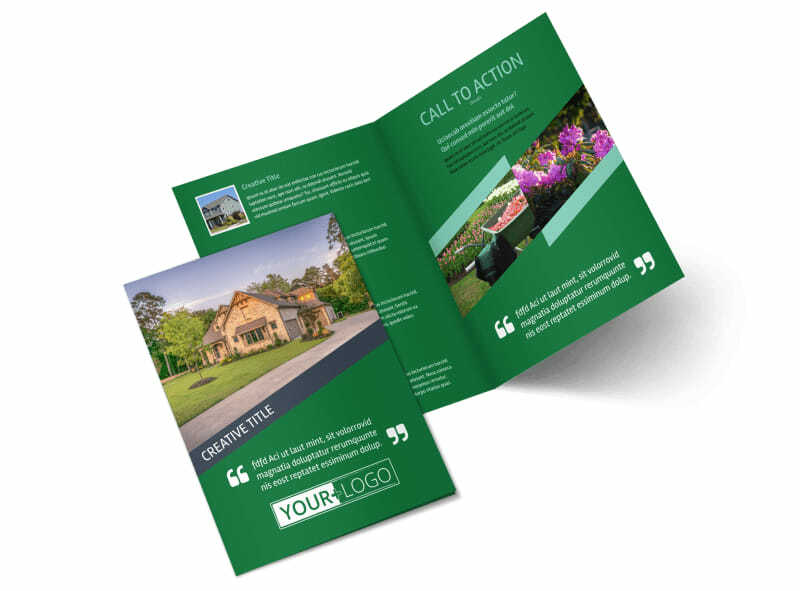 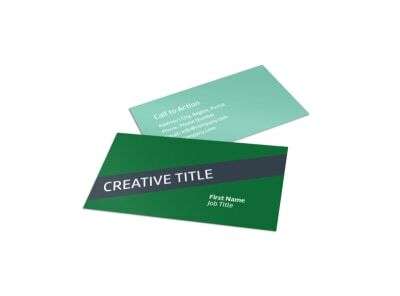 Choose from either a bi-fold or tri-fold template to create a unique design using our easy-to-use online editor that will educate and inform potential customers seeking a landscaper. 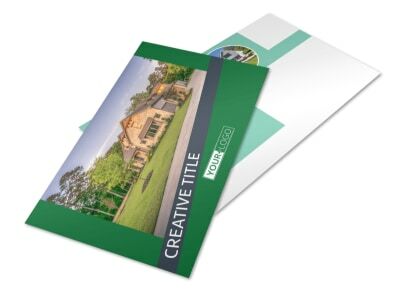 Customize the color theme and add photos of past landscaping projects, as well as text detailing your services and pricing quotes so clients know what you have to offer.